Ryan is a jack-of-all-tradesman, holding a degree in applied economics and public policy with a background in software engineering, theatre, and retail customer service. 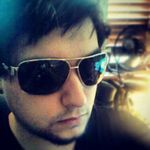 He has published over a dozen titles with his company Ryan Chaddock Games, several of which are Gold best sellers on DriveThruRPG. Ryan’s strengths include big picture themes, real world commentary, and fresh mechanics.